Port Everglades is the departure port for luxury cruises to the Bahamas, Caribbean, Mexico, Europe and the Panama Canal. 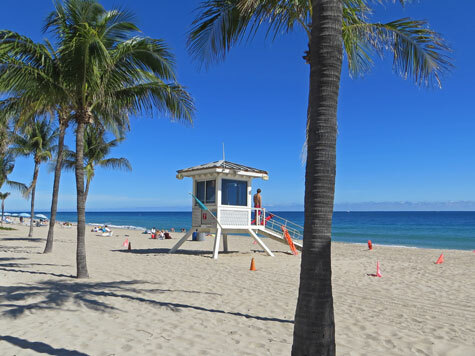 Attractions include Central Beach, South Beach, Hugh Taylor Birch State Park and the Fort Lauderdale Beach Park. Information on the Fort Lauderdale and Miami Airports, Jungle Queen River Cruise, Water Taxis, Trolley Buses and public transit.